Andhra Pradesh Chief Minister N Chandrababu Naidu gave a powerful reply to PM Narendra Modi’s allegations that public funds were being used to finance his political campaigns, and warned that personal attacks against him would only beget a similar response. 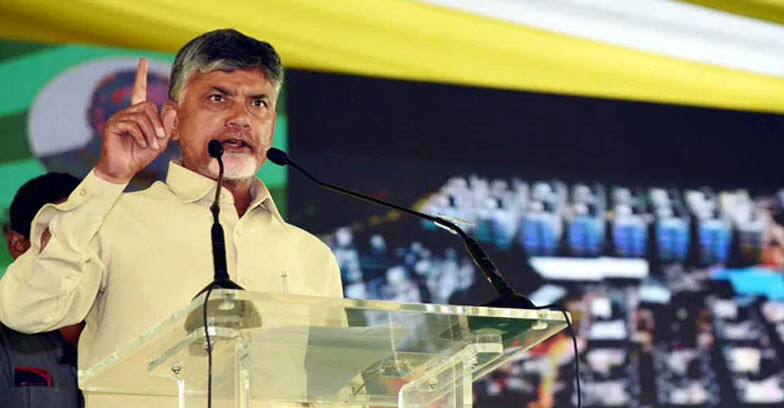 On his first visit to Andhra Pradesh after the BJP’s break-up with the Telugu Desam Party (TDP), PM Modi had earlier today accused Mr Naidu of betraying everybody from political allies to members of his own family. “Why does he (Chandrababu Naidu) often claim that he is senior to me? Yes, he is senior to me in things like switching sides, forming new alliances and “backstabbing” his seniors — just like he deceived his father-in-law (NT Rama Rao),” he said at a rally in Guntur,today. “I don’t usually make personal attacks, but Modi is now forcing me to do so with his comments. He speaks about bringing about a triple talaq law to help Muslim women abandoned by their husbands, but he has no answer if anybody asks him about his own wife, Yashoda Ben,” Mr Naidu said. Chandrababu Naidu also justified his move to bring his son Nara Lokesh into party’s high profile. Even though,Mr Naidu was in Vijayawada at the time of PM Modi’s arrival, he sidestepped protocol to refrain from receiving him at the airport. Later, at an event held to distribute land pattas, he rejected the Prime Minister’s claims that he was diverting public funds to finance his political campaigns. “Modi’s Andhra Pradesh tour is an utter flop. BJP should realise that people are registered their protest against his betrayal of Andhra Pradesh by not attending his rallies,” Mr Naidu alleged.